"The Insatiable Mr. Toad" Limited edition gallery wrapped canvas by Heather Theurer from the Disney Treasures collection. 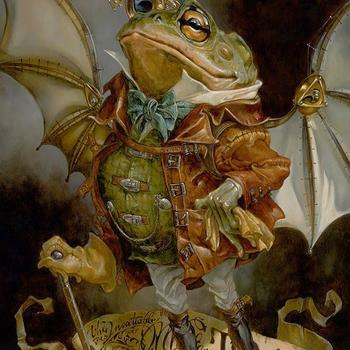 "The Insatiable Mr. Toad" is a limited edition giclee on canvas by Heather Theurer. 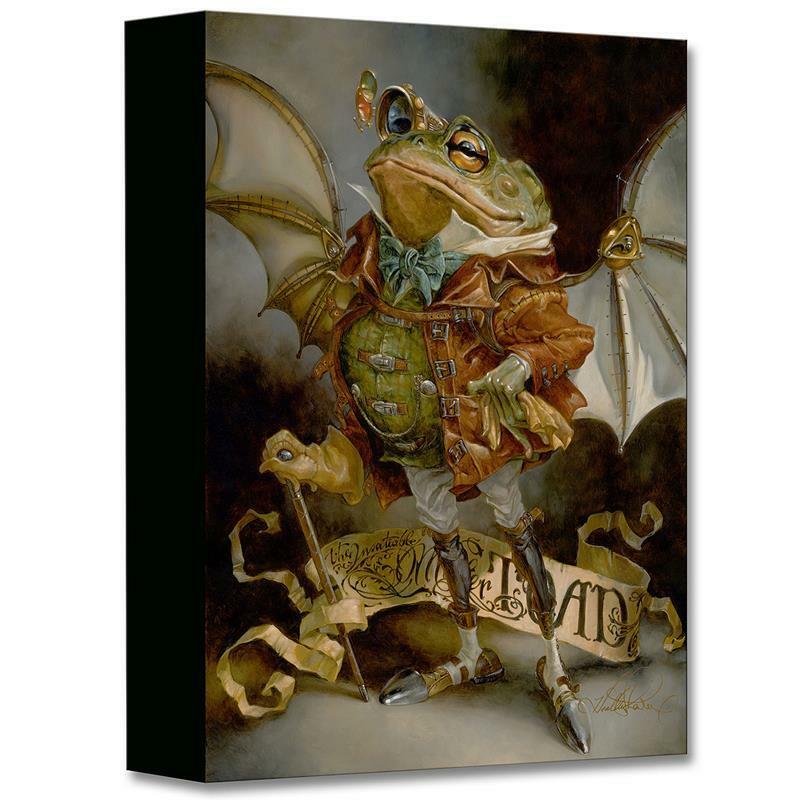 Part of the Disney Treasures collection from Disney Fine Art, this limited edition featuring Mr. Toad imagery comes gallery wrapped and ready to hang. It is also accompanied by a certificate of authenticity. The edition is limited to 1500 pieces. Item measures approximately 16" x 12" (no border).